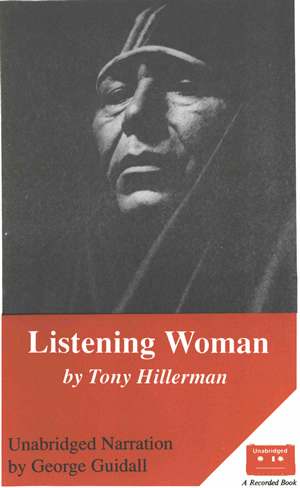 This is the unabridged version of Listening Woman as an audiobook, narrated by George Guidall, published by Recorded Books in Maryland in 1990. The book is recorded on five audio cassettes for a total listening time of 6.5 hours. The cassettes are in a black plastic case.